The Center for Louisiana Studies (CLS) at UL Lafayette is celebrating completion of four floating kayak/canoe docks on the Bayou Teche Paddle Trail in the communities of Port Barre, St. Martinville, Loreauville, and Charenton. A ribbon cutting ceremony will be held June 30 in Loreauville at 10am, at the site of floating dock, 119 Bridge Street, Loreauville, LA. The Federal Highways Administration’s Recreational Trails Program, administered through the Louisiana Department of Culture, Recreation, and Tourism, funded the installation of the docks. 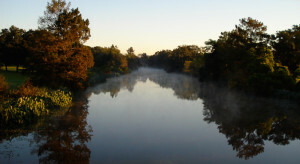 “As part of the original group who created the Bayou Teche Paddle Trail, it’s very satisfying to bring bayou access to areas where none existed and encourage locals to get on the water and enjoy the beauty and peace of the Bayou Teche,” says Jennifer Ritter Guidry, the principle investigator for the grant and Assistant Director for Programming and Special Projects at CLS. The Loreauville dock was installed last summer and Mayor Brad Clifton has seen increased traffic into his community as a result. “The dock will be one of the features in our planned Memorial Park for former Mayor Al Broussard. When completed, the trailhead park will be a wonderful destination for visitors and local folks to enjoy,” notes Clifton. We invite everyone to join the university and the TECHE Project to celebrate increased access for paddlers and other non-motorized recreational watercraft along the scenic and historic Bayou Teche. 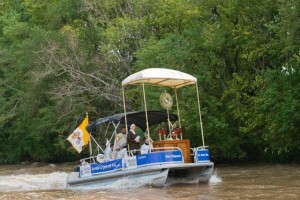 More information about the ceremony and the Bayou Teche Paddle Trail can be found at http://www.louisianastudies.louisiana.edu and at www.techeproject.org or by contacting Jennifer Guidry at 337.482.1320 or clspresents@louisiana.edu. The New Acadia Project/Projet Nouvelle Acadie needs your vote! LOREAUVILLE, La. –The New Acadia Project/Projet Nouvelle Acadie needs your vote! Based on the videos that receive the most votes, judges will award three grants in each category, two for $50,000 and one for $100,000. Watch the video and vote for the New Acadia Project. The voting period is April 12 – May 12, 2017. Voters must be US residents and over the age of 13. Once signed in, each voter can vote once per day during the voting period. Click here to view the video and vote. NAP is a privately funded multi-discipline project led by the University of Louisiana at Lafayette Anthropology Department to locate the lost encampments that served as the original home of the Acadians who arrived in South Louisiana in 1765. These Acadians who arrived in a destitute condition are the ancestors of the Cajun people. In these encampments are also scores of burials that were documented by the priest serving the colony but have been lost over time. 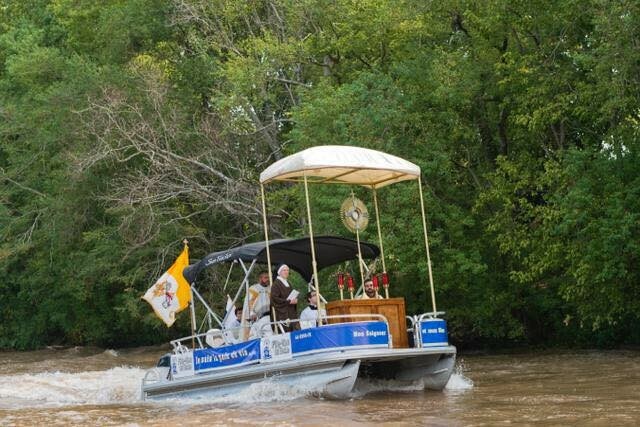 This project will not only help solve many mysteries about the Cajuns but also has the potential to bring quality tourism to the village of present-day Loreauville and all of Acadiana including the Bayou Teche. The New Acadia Project fundraising is led by the New Acadia Project Steering Committee that also serves as an advisory panel to the archaeology team. You can learn more about NAP on their Facebook and website. For more information contact Alan Broussard, Chairman, New Acadia Project Steering Committee (337) 349-9455. Our condolences go out to the family of TECHE Project Member and Active Volunteer, Janet Abshire, who passed away last Saturday. Janet was a native of New Iberia, and although she moved away for many years, she never stopped loving the Bayou that she called home. Janet and her husband Joey became members with the TECHE Project at the beginning while still living in Texas. 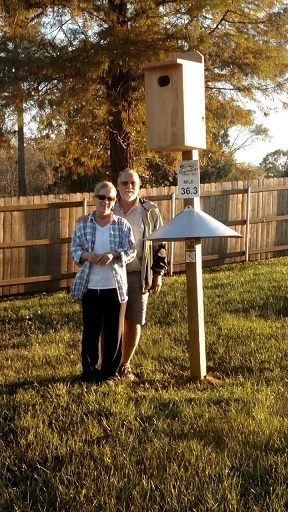 When Joey retired, they moved back home to ultimately settle on Bayou Teche in Parks. At that point, Janet jumped into TECHE-Project volunteerism with both feet. In the 2 years that she was back home, she served on the planning committee for the Shake Your Trail Feather festival, did bayou clean ups, worked the annual members banquet, manned our outreach table several times, and joined the wood duck mile-marker program. All of us at the TECHE Project will miss Janet’s “go for it” spirit, and her enthusiasm for the Bayou she grew up near and loved so much. The world-famous literary Dectective Dave Robicheaux, created by author James Lee Burke, is coming home to Iberia Parish, Louisiana with his second festival. The official Dave Robicheaux’s Hometown Literary Festival: Celebrating Storytellers from Iberia & Beyond will be held March 31 – April 2, 2017 predominately in New Iberia’s historic district, but will also include events around Iberia Parish. 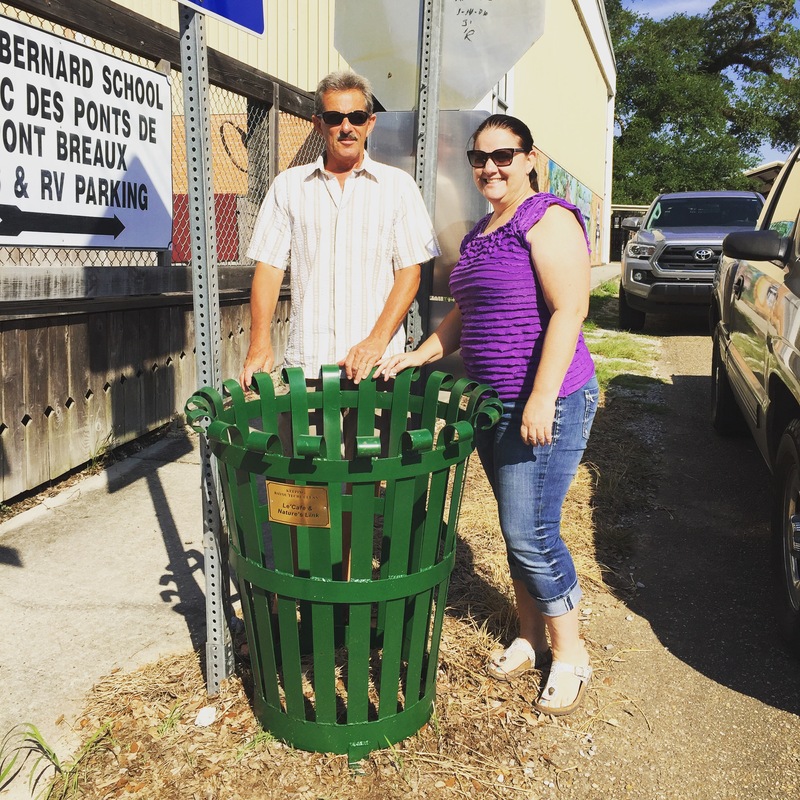 Various venues will celebrate literature and its impact on the area’s culture with storytelling, workshops, readers theatre, music, bourré lessons and tournament, Dave Robicheaux tours, a 5K run and food, food, food. Anyone who is familiar with James Lee Burke and his fictional character, detective Dave Robicheaux, knows of New Iberia and our fascinating blend of heritage, hospitality and history. Burke spent his summers in New Iberia with relatives, playing and fishing in the many water holes that populate the area. His family’s hometown is clearly very dear to him, as evidenced by the prominent part that his fictionalized version of New Iberia plays in each of his novels. Please check back for additional FREE events that will be added to the schedule. We will announce them on our Facebook page so like us at Dave Robicheaux’s Hometown Literary Festival for the latest. Please note that James Lee Burke will not attend this event as he will be out of state during the Festival. The next couple months the TECHE Project will be working with folks up and down the Bayou Teche to bring you a world class paddle trail. These events coming up can use enthusiastic volunteers to help spread the mission of the Bayou Teche Paddle Trail! March 18, Extreme Makeover: Veterans Home Edition Part 1, Breaux Bridge. April 1, Top of the Teche, Tour du Teche race, Leonville – Arnaudville. If any of these events spark your interest PLEASE let us know how you would like to help!